On Saturday, February 28, 2015, VIU’s School of Public & International Affairs (SPIA), in conjunction with the Institute for Islam & the Sciences (IIS), hosted an interfaith workshop entitled Expanding Faith and Cultural Communities’ Cooperation in Fairfax County. 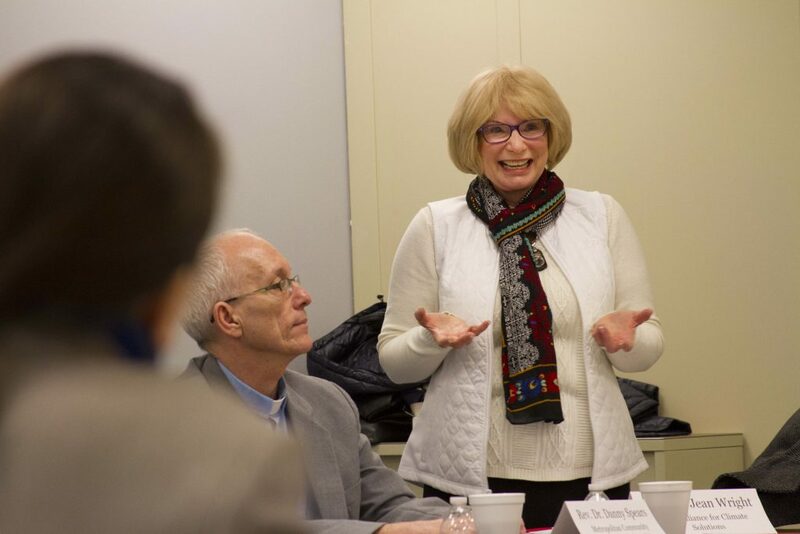 Bringing together representatives from twelve different organizations, the workshop was a new step in identifying and expanding collaboration opportunities in the Northern Virginia area, especially in Fairfax. Eight speakers discussed their involvement with a variety of organizations, showcasing their latest projects and initiatives. Dr. Klara Bilgin, Dean of the SPIA, made the introductions and spoke about VIU and the SPIA. Dr. Ahmed Alwani, Executive Director of the IIS, presented information about the Institute and emphasized the need for interfaith and intercultural cooperation. Dr. Victoria Ashiru, also of Virginia International University, provided information about the School of Continuing Education (SCE). By bringing together faith, community, and university leaders, the SPIA and IIS reinforced the university’s commitment to play an important role in the local community.